Sazgar, a public limited company is a premier manufacturer of CNG 4 Stroke Auto Rickshaw and Automotive Wheel Rims. The company is leading the market of Pakistan and has become a global dealer network with its manufacturing facilities. 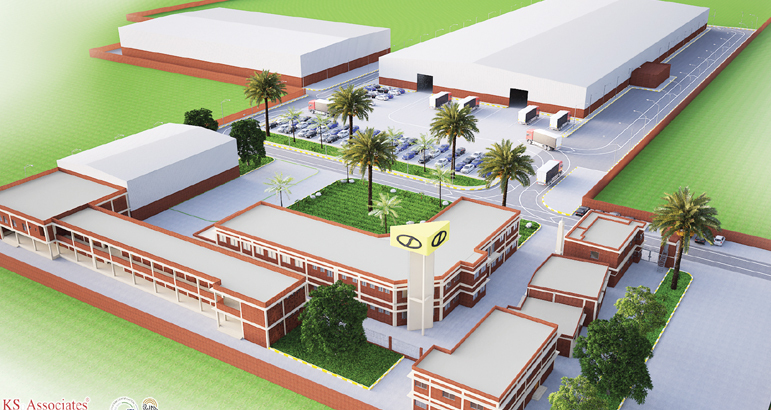 Sazgar’s main manufacturing facility is located on Raiwind Road in Lahore spread over an estate of 5 Acres. An additional 27 Acres has also been purchased by Sazgar at Raiwind Manga Road in Lahore to meet the future expansion needs. Ittefaq Group has won the bid and is now progressing with the project. The scope of project is expanded to the construction of several production halls. This is an RCC Structure of 70,000 square feet that includes office blocks, Labor colony, mosque, canteen, security office, OHWT and UGWT. Moreover, the construction of PEB building will be spread over 150,000 square feet, which will be 30 feet high. This also includes production halls, external electrification and external works like firefighting system as well as external pavement area of 250,000 square feet. The complete design is handled by consultants, Kalim Siddiqui and Associates. This project is based in Raiwind, Lahore, which is estimated to be completed by August 2017 by Ittefaq Group.